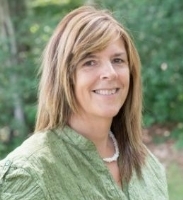 Dianne recently obtained her CT Real Estate license and has hit the ground running. In the short time she has been with us, she has begun developing a solid client base and already has 2 properties under contract. She is working closely with her mom, Jane Austin who as a Realtor (and a mom) serves as a great role model and mentor A graduate of Tourtellotte Memorial High School, Dianne continues to proudly call Thompson home where she and her husband David have raised their 3 children – Lori, Heath & Heather and her 2 granddaughters Adrianna & Taya. She is very active in High Pointe Church especially the Youth Group, and in her free time, Dianne and her husband enjoy camping, fishing, and raising Golden Retrievers. Dianne looks forward to working with buyers and sellers in helping to make their real estate dreams come true as part of the Johnston & Associates team.